Need a simple and effective way to get your business message across to customers in the Modesto, CA and surrounding areas? Vision Graphix has the creative solution for you. Our team of experienced designers will make your vision a reality with the creation of one-of-a-kind marketing materials. If you can think it, we can print it! Re-orders are easy with Vision Graphix. We save all print designs for our clients, so when you need to re-order just call and we’ll have them ready in no time. 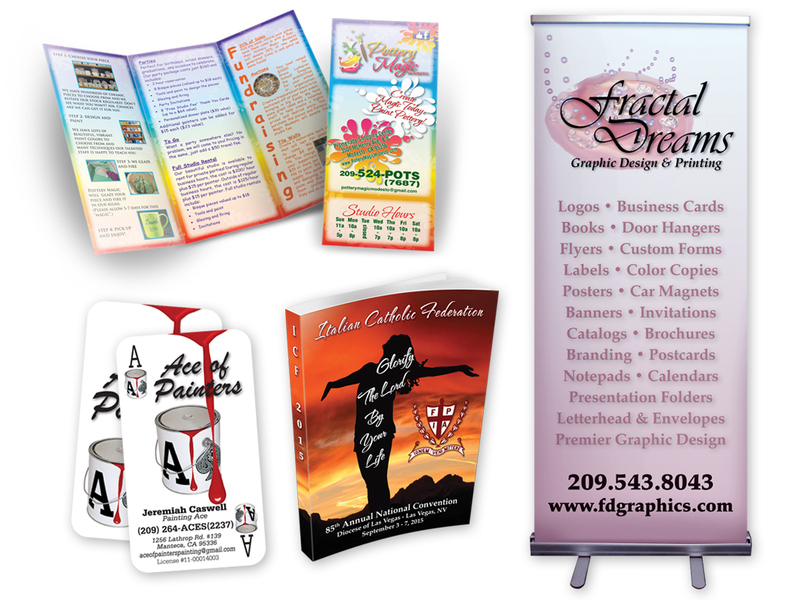 Call 209-527-7371 to schedule a free consultation with Vision Graphix..